The Y'saari are an Elder Race created long ago by the Empyreal, Omega. However, unlike some of the other races, they were not imbued with the power of Wild Kith and thus were dependent on technology for the advancement of their society. About 14 million years ago when Omega was ended and Wild Kith was dissipated, the Y'saari along with the other technology dependent Elder Races gained the advantage over the previously dominant Wild Kith Empires and rose to power as the Wild Kith dependent races quickly died out over the next two decades while their societies collapsed. All of their technology, all of their production was based on Wild Kith, and suddenly, Wild Kith was gone. It was as if gravity had disappeared. Approximately 42,000 years ago, the Ishvana contacted the various races of the Starmourn Sector and demanded they submit and be assimilated into its collective consciousness. The Y'saari refused and banded together with the other Elder Races to attempt to stem its genocidal onslaught in what would become known as the War of Extinction. The Y'saari survived the Ishvana's onslaught because of its formidable defenses. In fact, the Y'saari do not even have a Voidgate that enters their homeworld's space. 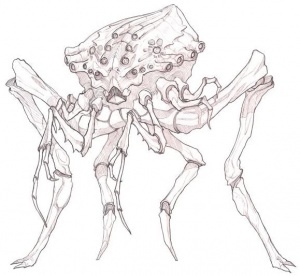 The Y'saari fended off the invading Cleax approximately 4,000 years ago with the help of the Younger Races, and afterwards created the Aegispheres with technology scavenged from the fallen Vyar. The Y'saari are an ancient civilization with advanced technology that allowed them to rise to prominence after the World Breaking. Highly defensively minded, they protect their territory, the Y'saari Covenant, with the most advanced defensive measures. With the help of the Aegispheres, they also control the use of the Voidgates and only allow their usage through the trade of their currency called Covenant Marks which has made them one of the wealthiest and most powerful races in Starmourn. This page was last modified on 16 January 2019, at 21:59.